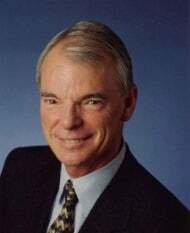 New York University Stern School of Business today announced that Nobel Laureate A. Michael Spence will join the faculty of NYU Stern as Professor of Economics, effective September 1, 2010. Spence is a Senior Fellow at the Hoover Institution and the Philip H. Knight Professor Emeritus of Management in the Graduate School of Business at Stanford University. Spence, whose scholarship focuses on economic policy in emerging markets, the economics of information, and the impact of leadership on economic growth, is Chairman of the independent Commission on Growth and Development, a global policy group focused on strategies for producing rapid and sustainable economic growth, and reducing poverty. He also serves as a consultant to PIMCO, a senior adviser at Oak Hill Investment Management, and as a member of the board of the Stanford Management Company. He is a member of the boards of directors of Genpact, Mercardelibre, and a number of private companies, and in the past has served on the boards of Bank of America, General Mills, Nike, Siebel Systems and Sun Microsystems. A Rhodes Scholar and the recipient of many honors and awards, Spence was awarded the Nobel Memorial Prize in Economic Sciences in 2001 and the John Bates Clark Medal from the American Economics Association in 1981. Spence served as Philip H. Knight Professor and dean of the Stanford Business School from 1990 to 1999. From 1975 to 1990, he was a professor of economics and business administration at Harvard University, holding a joint appointment in its Business School and the Faculty of Arts and Sciences. In 1983, he was named chairman of the Economics Department and the George Gund Professor of Economics and Business Administration. From 1984 to 1990, Spence served as the dean of the Faculty of Arts and Sciences at Harvard, overseeing Harvard College, the Graduate School of Arts and Sciences, and the Division of Continuing Education. The author of three books and 50 articles, Spence is best known for his work on information economics, growth and development in emerging markets, and the role of leadership in economic growth. Some of his recent publications include: “Signaling in Retrospect and the Informational Structure of Markets,” American Economic Review (2002); “The Growth Report,” Report of the Commission on Growth and Development (2008); “Growth Strategies and Dynamics: Insights from Country Experience,” World Economics (2008); “Leadership and Politics: A Perspective from the Growth Commission,” Oxford Review of Economic Policy (2009); and his most recent work, Post-Crisis Growth in Developing Countries: A Special Report of the Commission on Growth and Development (2009). He is a member of the American Economic Association and a fellow of the American Academy of Arts and Sciences and the Econometric Society. From 1991 to 1997, he was chairman of the National Research Council Board on Science, Technology, and Economic Policy. From 1977 to 1979, Spence was a member of the Economics Advisory Panel of the National Science Foundation, and in 1979, served as a member of the Sloan Foundation Economics Advisory Committee. At various times, he has served as a member of the editorial boards of American Economics Review, Bell Journal of Economics, Journal of Economic Theory and Public Policy. Henry, the leader of the Obama Transition Team’s review of the International Monetary Fund, World Bank, and other international lending agencies, became dean of NYU Stern on January 15, 2010. New York University Stern School of Business, located in the heart of Greenwich Village, is one of the nation’s premier management education schools and research centers. NYU Stern offers a broad portfolio of academic programs at the graduate and undergraduate levels, all of them informed and enriched by the dynamism, energy and deep resources of one of the world’s business capitals. NYU has a total of 12 Nobel Prize winners, including both alumni and faculty. NYU School of Law alumnus Mohamed ElBaradei, director general of the International Atomic Energy Agency (IAEA), was awarded the 2005 Nobel Peace Prize. ElBaradei shared the prize with the organization he heads. NYU Stern School of Business Professor Robert Engle, who holds the Michael Armellino Professorship in the Management of Financial Services, captured the 2003 Nobel Prize in Economics for methods of analyzing economic time series with time-varying volatility (ARCH). Engle shared the prize with Clive W.J. Granger of the University of California at San Diego.